Next time you’re in a movie theater, look around and you’ll notice the discreet use of LED lights around the room. It adds a glow around the aisles and along staircases that doesn’t distract from the movie or distort the colors on screen. 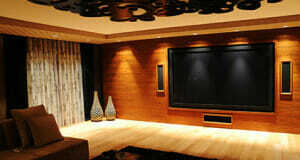 This is not easy to do well but when it is, it turns a standard home movie room into a professional home theater. Some common areas to add LED lights are behind the screen, along the ceiling or around the speakers. 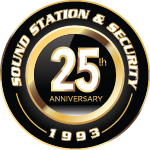 If you are interested in taking your home theater to the next level with LED lighting, consult with Sound Station and Security. We can customize a lighting system for your home that will impress family and friends and enhance your own entertainment experience.